Besides ePubs, ePageCreator can also produce Flash and HTML5 for online viewing and Mobi if you want to use your kindle reader. Offline executables EXE for Windows and APP for Mac are also available if you just want offline reading on your PC or Mac. Getting Started. 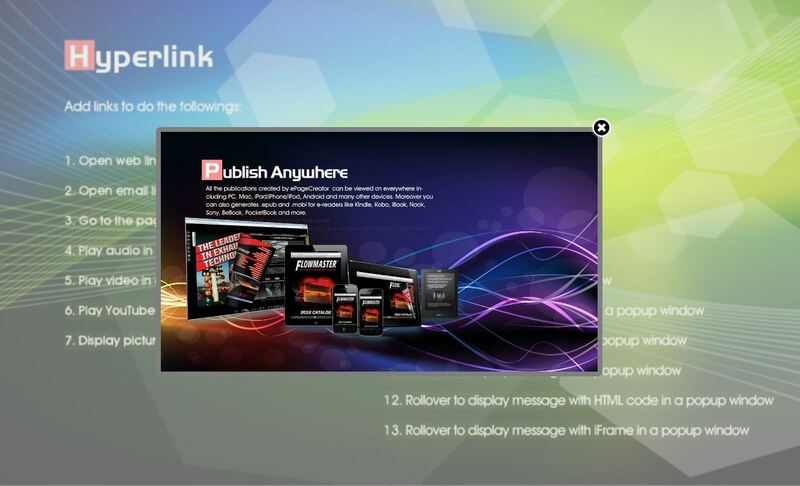 Links and buttons has different actions tied to them like opening a image, playing a video, opening a webpage or just go to a specific page within the flipbook. 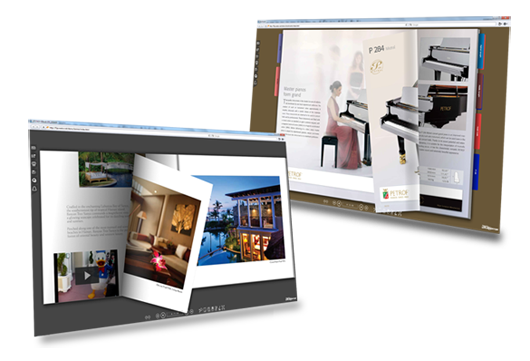 You can embed a picture on any page of the flipbook or you can put in a image gallery that cycles through a set of images. Embed you local videos onto any page. Don't have local video files? Use YouTube instead. ePageCreator has two different audio options. Add a audio clip on a specific page so it will play when the reader gets to the page or background music which plays the entire time the flipbook is open. When you import your PDF into ePageCreator it will try to extract text from it. The result will be a flipbook that allows you to use the built in search feature and look for specific keywords in the flipbook. The flipbook you create can also be search able in search engines as well. All you need to do is enable the option in Settings and ePageCreator will generate files for you to submit to the search engine and let it index. Once it is submitted your flipbook will show up as a result in the search engine.